It looks kind of like a tiny crabapple! Do such things exist? Glad that you found some colour! I think you might be right! 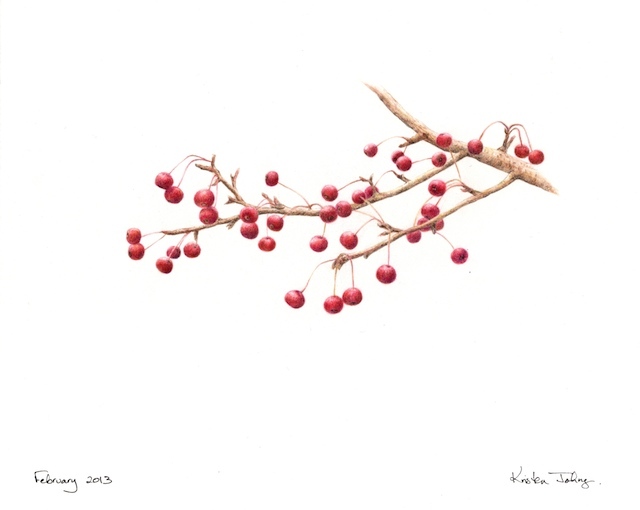 I saw a similar tree for sale at a garden store yesterday and it was a crabapple - but the one I drew had smaller fruit. Maybe a different variety? but still a crabapple.